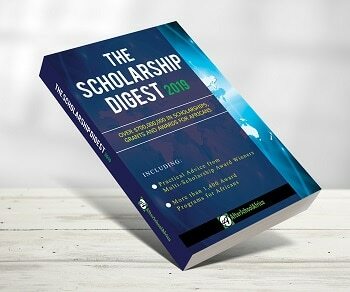 50+ Top Scholarships to Apply for Before January 2019. Apply Now! The following top scholarship programmes are currently open for African students with varying closing dates in January 2019. View other scholarships with January deadlines in your AfterSchoolAfrica archives. More scholarships will be added to this list in coming days. Don’t just browse through, apply and share with your friends. Goodluck. The Eiffel Excellence Scholarship Programme was established by the French Ministry of Foreign Affairs and International Development to help shape the future foreign decision-makers of the private and public sectors, in priority areas of study, and encourages applications from emerging countries at master’s level, and from emerging and industrialized countries at PhD level. Sciences Po created the Emile Boutmy scholarship after the founder of Sciences Po (1871) in order to welcome the very best international students from outside of the European Union. This scholarship is not automatically awarded. A request for it must be made in the section designated for the purpose on the application form. The Mastercard Foundation Scholars Program at Sciences Po aims to support 120 talented African students through their studies so they can go on to become changemakers in their home countries. Margaret McNamara Educational Grants (MMEG) scholarship applications for female students from Developing Countries to assist women pursue their education with the aim of improving the lives of these women and children. Grants will be used in schools in the USA and Canada. The TechWomen initiative will identify 100 women in STEM fields from countries in Africa, Central and South Asia, and the Middle East to participate in the program. The LAWA Program helps defray the costs for women’s rights attorneys from Africa who would not otherwise be able to afford a Master of Laws degree focusing on international women’s human rights and the additional leadership training. As part of the Scholars Program, Wellesley will provide nine (9) African women with comprehensive support that includes scholarships, mentoring, counseling, and internship opportunities. At University of California Berkeley, the MasterCard Foundation Scholars Program will provide holistic support – financial, academic, social, and career counselling – to Masters students from Sub-Saharan Africa from 2012 to 2020. UC Berkeley will receive $30 million in funding over the next eight years as part of MFSP. This scholarship is part of the Oxford Graduate Scholarships, which were established through a ground-breaking new matched funding initiative to enable the creation of fully-funded scholarships for graduate students of the highest calibre from across the MENA region. New to Saïd Business School, the inaugural Jacobs Foundation scholars start their studies in September. One full scholarship is available for applicants who are ordinarily resident in Africa and who are applying to the full-time MSc Environmental Change and Management. The Louis Dreyfus-Weidenfeld and Hoffmann Scholarships and Leadership Programme supports outstanding postgraduate students from developing and emerging economies throughout Africa, Asia and South America to study at the University of Oxford, UK. A full scholarship is available for applicants who are ordinarily resident in one of the member states of the Southern African Development Community and who are applying to the full-time MSc African Studies. The Standard Bank Derek Cooper Africa scholarship is awarded to three outstanding African students wishing to undertake a 1 year Masters programme at the University of Oxford. The University of Oxford Centre for Islamic Studies scholarships are created to allow graduates pursue study of benefit to the Muslim world. The Skoll Scholarship – Skoll Centre for Social Entrepreneurship offers Funded Scholarship Program for MBA in Social Entrepreneurship, at Said Business School, Oxford University UK. The scholarship is funded by the Imperial Majesty Oba Adéyeyè Enitan Ògúnwùsì and aims to provide funding to exceptional candidates pursuing postgraduate study of Africa. The INSEAD Nelson Mandela Endowed Scholarship is offered for candidates who are nationals of a sub-Saharan African country and have spent a substantial part of their lives and received part of their prior education in Africa. Applications are on for the INSEAD Olam MBA Scholarships for African Students. Candidates will be judged on the quality of their scholarship essays and the degree to which they meet the eligibility criteria. INSEAD has launched the INSEAD Africa Leadership Fund scholarship to support its goal of admitting talented candidates from the African region. For those who are set back by financial difficulties, this scholarship will help them realise their dream of achieving an MBA at one of the top business schools in the world. The Erasmus Mundus Master’s in Journalism, Media and Globalisation welcomes applications from graduate students around the world. You can apply for an Erasmus Mundus scholarship, or as a self-funded student. Application is opened for the new admission cycle in Mundus MAPP for students from Developing countries! Open Doors: Russian Scholarship Project is your chance for early admission to a tuition-free Master’s programme at one of the leading universities in Russia. Australia Awards Scholarships for Short Courses are awarded to undertake short-term, targeted professional training courses, in Australia and/or in Africa, in a range of development-focused sectors. University of London International Programmes and Canon Collins Trust jointly offer scholarships for Master of Laws (LLM) by distance learning at the University of London. The President’s PhD Scholarships at Imperial College offer an outstanding opportunity for potential international PhD students. A full tuition scholarship for a master’s-level student from sub-Saharan Africa is made possible through the generous support of the William and Catherine McGurn Family. The Master of Science in Foreign Service (MSFS) at Georgetown University USA is offering a full-tuition scholarship for a talented graduate student from sub-Saharan Africa. The Karolinska Institute offers 10 scholarships per year, spread to all the Global Master’s Program to excellent students starting each autumn semester. VLIR-UOS offers 180 Masters & 70 training Scholarships in Belgium for students from Developing countries – 50% of scholarships will be offered to African students and preference will be given for Women. The eligible training or master programmes are taught in English. K.U. Leuven offers IRO (Interfaculty Council for Development Co-operation) scholarships to deserving students from developing countries to do their PhD in the largest university in Flanders, Belgium. Stanford university is awarding MBA Fellowships to citizens of African countries who desire to obtain an MBA at Stanford University and afterwards return for two (2) years to contribute to the continent’s development. The Zurich Graduate School of Economics at the University of Zurich is offering up to 3 PhD Scholarships for successful candidates covering living expenses and all fees. The University of Warwick will offer full fees support and maintenance award to international doctoral students of the highest caliber. Monash University, Australia offers up to 4 fully-funded scholarships to international students undertaking Undergraduate or Postgraduate (coursework) degree at the University. The Future Global Leaders Fellowship is an accelerator for top students from humble backgrounds who want to become members of the Fortis Society upon successful completion of the fellowship. The scholarship will be provided in the form of a waiver from the non-EEA tuition fee. Mitacs Elevate is the only postdoctoral fellowship in Canada with professional skills training component. The United Nations Office for Outer Space Affairs and the Government of Japan in cooperation with the Kyushu Institute of Technology (Kyutech) have established a United Nations/Japan Long-term Fellowship Programme on Nano-Satellite Technologies for nationals of developing countries or non-space-faring nations. MSD Animal Health and the WVA announce the Veterinary Student Scholarship Program which is dedicated to veterinary students from four world regions. The Alliance for Historical Dialogue and Accountability (AHDA) fellowship brings together scholars, students, civil society organizations, journalists, educators, artists, policy makers, and others who work on historical dialogue issues for a semester of comprehensive learning and networking at Columbia University in New York City. The Caine Prize for African Writing is an annual literature prize awarded to an African writer of a short story published in English. Browse the AfterSchoolAfrica Calendar for more scholarships with January deadlines.